Services that every website needs. Monster Media Digital Marketing Experts will help you every step of the way to generating more leads, more sales, and more profit. We're only an email away! 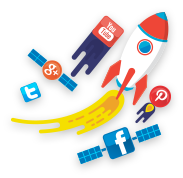 Monster Media’s comprehensive social media marketing campaigns are designed around you. We’ll take the time to understand your brand, your image, and your business goals. 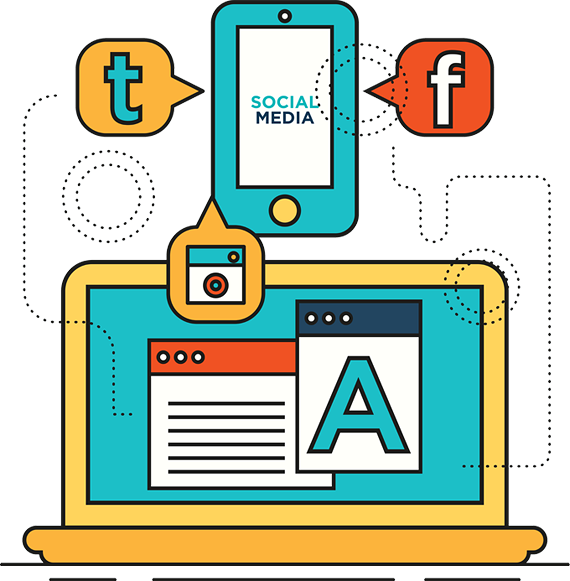 We’ll then use that information to create a results-driven social media campaign customized to your budget. Social media encompasses a broad amount of people. Our goal is to connect you with the targets you really want to reach. Working with you, we’ll learn your business goals and vision. 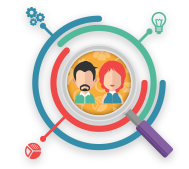 We’ll then take the time to research where to find the most qualified leads to maximize your marketing returns. We’ll keep all your social media channels active and open by maintaining a regular schedule of posting and interacting with customers and followers. This includes updates about your business, news, and announcements. 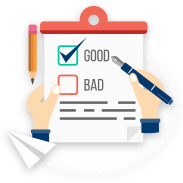 Part of our process includes regular reviews of analytics to assess your campaign’s success. If we notice a trending keyword or an additional level for improvement, we’ll make the adjustments as necessary. 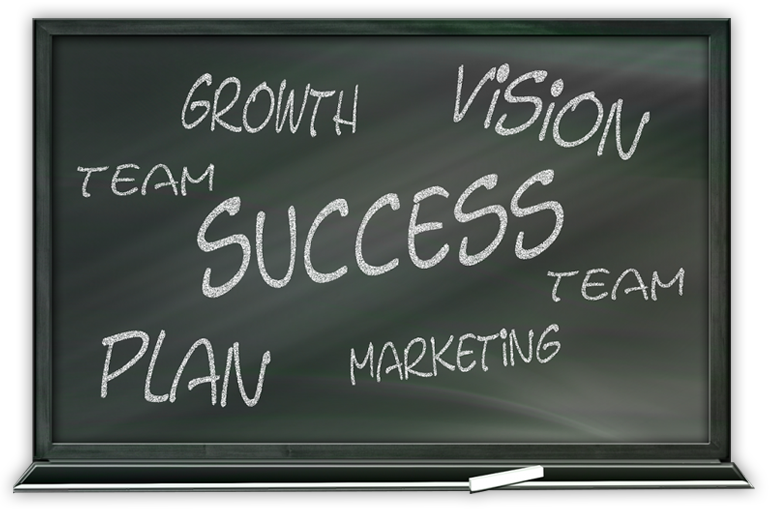 As always, our goal is the same as yours – to bring the greatest amount of success to your business. The Monster Media team brings a wealth of experience within social media marketing and account management. 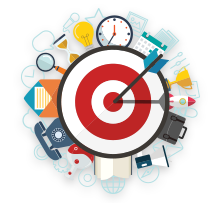 We’ll develop a campaign strategy and schedule built from the ground-up to get the result your business needs. We understand the constraints many small to medium businesses face with their advertising budgets. 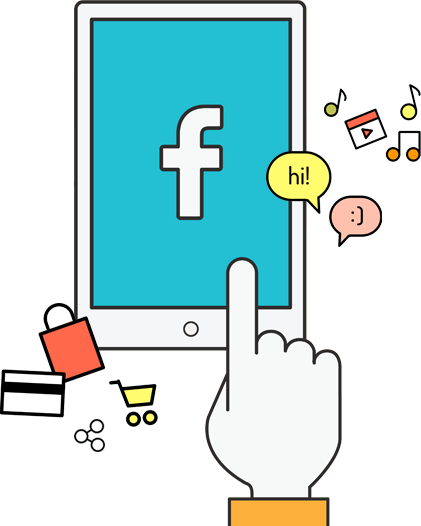 Fortunately for you, we can customize your social media campaign to deliver excellent results that fit your budget. Our cutting edge tools allow us to keep an eye on all of your critical accounts without missing a beat. We can alert you to customer interactions or act as a brand spokesperson to enhance all interactions with your customers, followers, and fans. As a customer-first agency, Monster Media is all about delivering the services you need exactly how you want them. As mentioned, you won’t get a cookie-cutter social media campaign when you work with us. We’ll develop a strategy that fits right into your company’s mission and values. We’ll show you all the reports related to your campaign’s progress. As mentioned, we’ll make adjustments whenever necessary to maximize your returns. You’ll always have access to a dedicated account manager who you can call or email at any time. If you need it, we can also provide you consulting services to teach you how to improve your own social media management over time. We’ll also give you an overview each month to get an understanding of exactly what our team did for you. Getting the most from your social media accounts is a significant challenge; you want to take full advantage of what they offer. For many smaller businesses, you simply don’t have the time or resources to make the most out of this critically important source of customers. Don’t lose out on all the potential social media will bring your business! Let the team at Monster Media be your ally in the social media world. We provide a veteran team of digital marketers with years of direct experience helping businesses take their advertising even further. Our customer-first approach means you’ll always be the one in charge of your brand. We’ll help you get that brand image in place for even greater success potential. We’re currently offering a free, no-obligation website and social media audit to all our new customers. This audit will assess your current performance within your market. We’ll show you all the areas of opportunity where you can improve your marketing to make an even bigger splash. Don’t wait another minute to take charge of your social media presence. Get in touch with Monster Media today at 704.893.8000 to learn more. We have experts in social media ad copy writing. 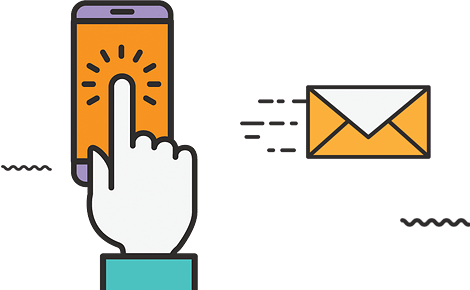 It is an art to get someone to click your ad so after millions of dollars in testing headlines, subjects, body, and images, we will be able to bring clicks to your ads. Anyone can create an add with a link to your homepage, but not everyone knows how to find the target audience, customize the ads, retarget those ads, and optimize the campaigns for maximum results while monitoring the cost. Monster Media can! Sign up for new Monster Media content, updates, surveys & offers. Monster Media Digital Marketing Agency!